Anita delaCruz has been with Sheffield Pharmaceuticals since 1999 and has witnessed the Company grow from a fairly small operation to the scale it is today. Anita began her career at Sheffield as a Quality Control Technician performing routine tests on finished products and raw materials, and also began training in formulation chemistry. Throughout her tenure with Sheffield she has worked tirelessly and has always been eager to increase her skill-set to be an integral part of the company and its accomplishments. Her knowledge of formulation chemistry coupled with her management skills earned her a promotion to R&D Supervisor in 2004 and has been the R&D Manager since 2010. She has and continues to concentrate on Sheffield’s product line improvements, new product launches, and collaborative activities with key customers. A member of Sheffield’s Quality Unit, Anita is involved in Quality trouble-shooting discussions and company continuous improvement activities. Starting in 1982 as a Medical Laboratory Technician, Anita worked at The Westerly Hospital in Rhode Island for five years as a generalist, moving on to the former Diagnostic Medical Laboratory, a high volume reference laboratory, in Branford, Connecticut working as a Medical Technologist in Clinical Chemistry, eventually earning a promotion to Chemistry Supervisor. During this time she also worked part time for the (former) Norwich Cancer Center in Norwich CT. running routine and STAT blood analysis. 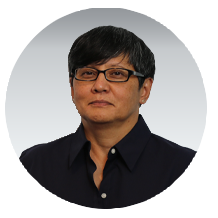 When Diagnostic Medical Laboratory was purchased by a national laboratory conglomerate, Anita changed her focus from the clinical laboratory to the manufacturing industry with Sheffield Pharmaceuticals. Anita earned her Associates of Science degree in Medical Laboratory Science from Northeastern University in Boston, Massachusetts, co-oping at the former New England Deaconess Hospital with her clinical internship at Danvers Memorial Hospital in Massachusetts. Anita has also earned a Bachelor of Science degree, with honors, in Organizational Leadership from Charter Oak State College, New Britain, Connecticut.